Twinning relationships with parishes in other countries offer parish communities an opportunity to grow in solidarity with our sisters and brothers in another country, and by extension, with all God’s children around the world. Catholic Relief Services cares for poor and vulnerable people overseas on behalf of Catholics in the United States. We partner with the Catholic Church on the ground in over 100 countries worldwide. If your parish is involved in a twinning relationship, this is a great opportunity to learn how the Church in the US might be working with the local Church in the country where your sister parish is located, and to find out how we assist poor and suffering people around the world in your name. Visit a CRS office overseas. If a group in your parish is traveling to visit your sister community, find out whether there’s a local CRS office you could visit during your trip. This would be an opportunity to hear from CRS staff on the ground about issues facing communities in need in that country and to learn about how the Church is working to address those issues. Contact [email protected] to learn whether there is a CRS office available in the country you are visiting. Advocate for policies that support your twinning community. One way to support your twinning community is to advocate with your lawmakers for policies that support their wellbeing. Many communities are experiencing the effects of challenges like climate change, displaced refugees and human trafficking. Learn how you can use your voice to advocate for your twinning community and others like it facing issues like these. Many communities are poverty stricken because people are unable to find work that makes enough money to support their family. Fair trade items are created by people who are paid a fair wage. Help support workers in the country where your sister parish is located by purchasing fair trade items from that country. You might also switch to fair trade coffee and tea for parish events. Invite a speaker to present to your parish. 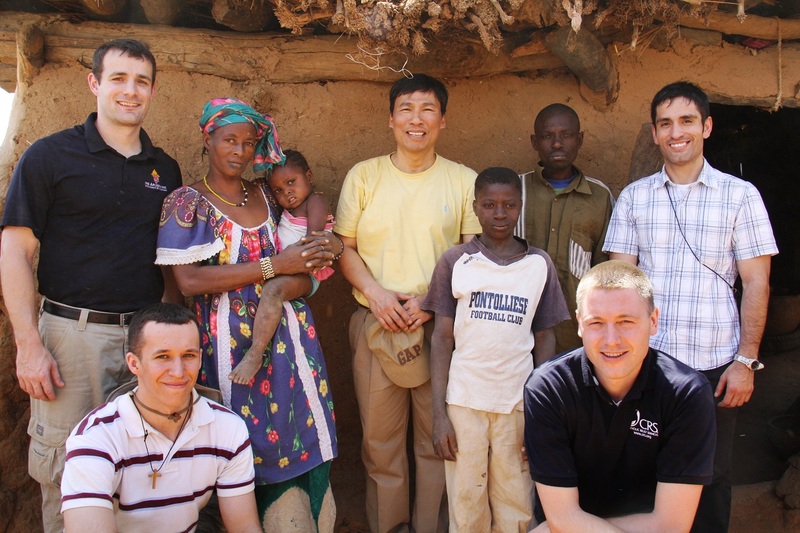 CRS has a network of priests and deacons around the country who have traveled with us and can share about how the Church works with people in need overseas on behalf of Catholics in the US. Contact us at [email protected] to see if there’s a speaker available to share information about how the Church works in the country where your sister parish is located and around the world. Help people learn about where your sister parish is located. Help your parish learn more about your sister parish by hosting a gathering that includes a meal from that country. CRS Rice Bowl has an archive of recipes with simple meals from around the world. As a part of this meal, share information about the needs facing this country and how the Church in the US may be working to address these needs. If you travel to visit your sister parish, reflect on the experience. Mission trips are often an important part of twinning relationships. We offer resources to help leaders of these trips prepare participants for the experience, reflect each day during the trip and to consider how their lives have been changed after they return home.